“MJ,” “The Hick from French Lick,” “Pistol Pete,” “Dr. J,” and “Shaq” are some of the most memorable, catchy nicknames in basketball history. Of course, there are loads of others we could have mentioned, but those are some that stand for a handful of the greatest ballers in league history. There are still tons of nicknames in the league today. We recently took a look at five of the coolest current ones in baseball, and now we move to the hardwood. 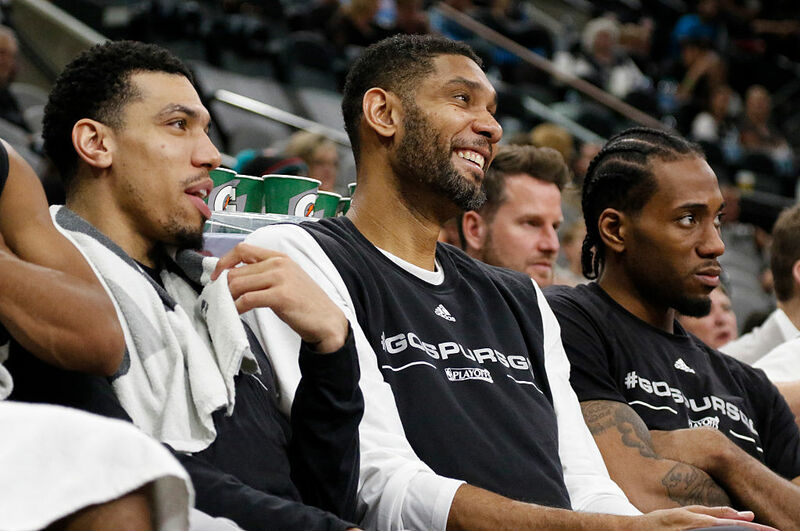 There are a bunch of nicknames that we could choose involving San Antonio Spurs legend Tim Duncan, but we like “The Big Fundamental” the best. Duncan, who recently turned 40, is still producing at a high level and through all of the success and accolades, he remains modest and humble. There may not be a more likable guy in the association, and the way that No. 21 consistently and quietly goes about his business makes this nickname fit perfectly. Sorry James Harden, but Stephen Curry is the real chef of the NBA. How perfect is it that the two-time reigning MVP, who heats up on a near-nightly basis, is nicknamed “Chef Curry”? “Steph” may technically be a nickname too — we like it all and well — but it is used so often that many probably assume that it is his full first name at this point. The “Baby-Faced Assassin” is still a great one too, but in our opinion, nothing has stuck quite like “Chef Curry”. 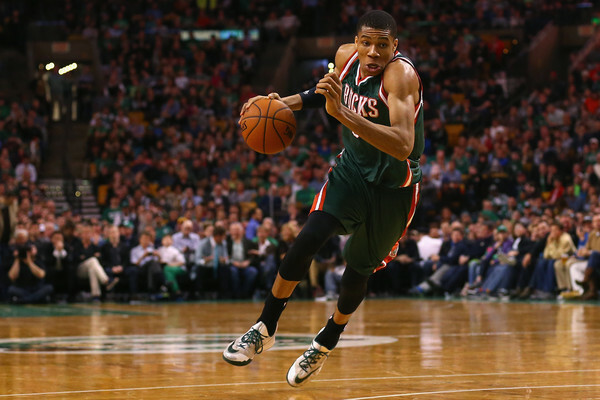 A native of Athens, Greece, “The Greek Freak,” Giannis Antetokounmpo, is one of our favorites. Antetokounmpo is still just 21 years old, so be prepared to hear his nickname for many years to come. Since the last name “Antetokounmpo” is so difficult to pronounce, many broadcasters opt to go with “The Greek Freak” when talking about the lengthy, lanky talent, and that is just fine with us. Paul Pierce‘s “The Truth” is probably the only one on this list that needs an explanation. Apparently, Shaquille O’Neal — a guy who knows a thing or two about nicknames — bestowed “The Truth” upon Pierce after Shaq’s Los Angeles Lakers took down Pierce’s Boston Celtics in March 2001. It was a monster performance in defeat by the Boston legend though, which caught Shaq’s eye and he pulled a reporter aside, saying, “Take this down. My name is Shaquille O’Neal, and Paul Pierce is the (expletive) truth. Quote me on that, and don’t take nothing out. I knew he could play, but I didn’t know he could play like this. Paul Pierce is the ‘truth. '” And thus, an iconic nickname was born.